Gone are the days where a room could sport only matching metallics. Today’s fashion-forward interiors effortlessly mesh gold, silver, chrome and bronze. Although there are no specific rules to mixing metals, one tried-and-true designer trick is to vary the sheen and finish from element to element. A hammered, aged brass serving tray atop a raw iron console table creates a luxe, industrial vibe. For example, a shiny chrome arch lamp combined with a matte antiqued brass cocktail table adds an unexpected edge. 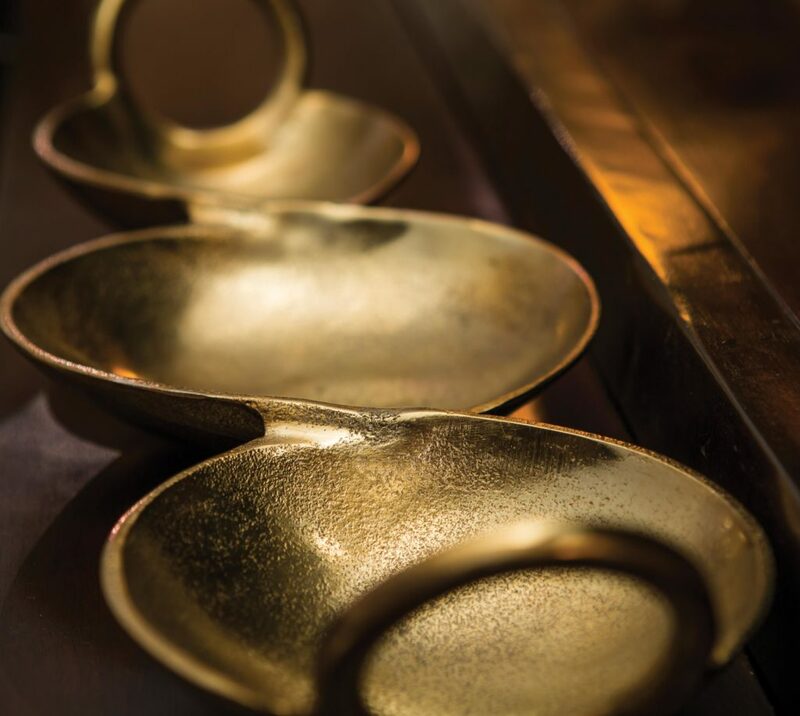 Mix in a deep patina bronze bowl and “voila”… you’ve added instant depth and character to your room. The great thing about blending metals is that this design concept works regardless of your color scheme. So what are you waiting for? Get out there and mix it up! Article originally seen in the March 2017 edition of Susquehanna Style.